Residents of two farming communities; Fihini and Kpalguni in the Tolon District of the Northern Region have announced that they have henceforth severed relationship with politicians. They have accordingly served notice to politicians regardless of who is involved not to step foot in the two communities during the 2016 general elections or have themselves to blame if they defy this directive. Angry residents of the community who feel neglected disclosed that they would not hesitate to pelt stones at any politician who visits the area to campaign. “We have had enough of these politicians who keep lying to us”. They remarked. According to the communities, the about four miles road linking their communities to the district capital had been left to deteriorate for several years despite several appeals to government institutions for support. Prior to the 2012 elections, most neglected communities up north had to issue threats before they could be connected to the national grid under the government rural electrification project. Perhaps, the warning by the Fihini and Kpalgun communities sets the tone for series of threats from neglected communities to demand their share of the national cake ahead of 2016 elections. Rural residents from most districts in the northern region have been grappling with bad road network in spite of government’s effort to addressing them. Under the late President JEA Mills, Metropolitan, Municipal and District Assemblies were provided with heavy duty equipment (excavators) to periodically re-gravel and fill potholes on some feeder roads in their areas. Most of these heavy duty equipment are currently parked at the respective assemblies under the pretext that they do not have enough money to fuel them compounding the woes of the rural folks who are unable to commute to and from district capitals. After several appeals to the Member of Parliament (MP) for Tolon, Wahab Suhuyini and the Tolon district assembly yielded no results, community member decided to embark on self-help road maintenance. For the people in Fihini and Kpalgun, local governance means nothing to them because they do not even know the name of the district chief executive for Tolon. 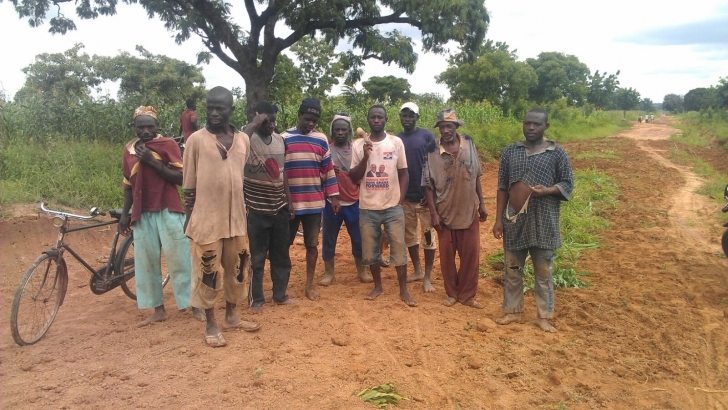 The community members indicated all development actors, from the MP to the DCE and the assemblyman whom they reposed much r confidence in appear to be dragging their feet any time they raise issues about the deplorable nature of the road, hence their decision take their destiny into their own hands.